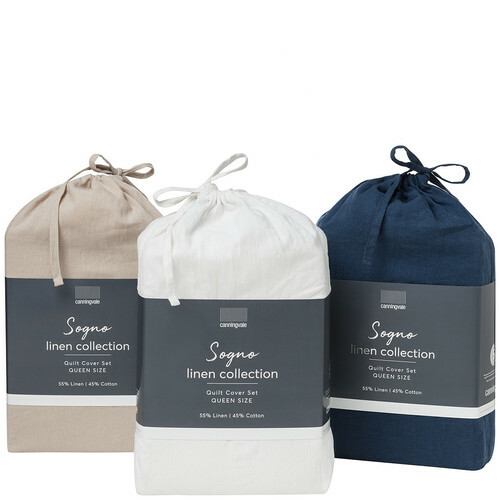 New linen and cotton Sogno sheet set range dazzles your eyes and your sense of touch all at once. Care Instructions: Cold gentle machine wash separately. Do not bleach or soak. Dry without delay. May be tumble dried on low heat. Warm iron on reverse if required. Do not dry clean. 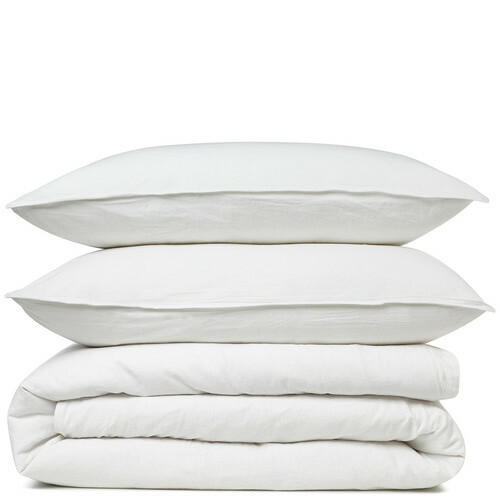 The Sogno Carrara White Linen & Cotton Quilt Cover Set is a Contemporary style product. Contemporary style bridges the gap between traditional and modern. Pieces feature simple and clean lines with smooth surfaces without any carving or adornment. You can shop for more Contemporary Quilt Covers in the Bed & Bath section of our site. 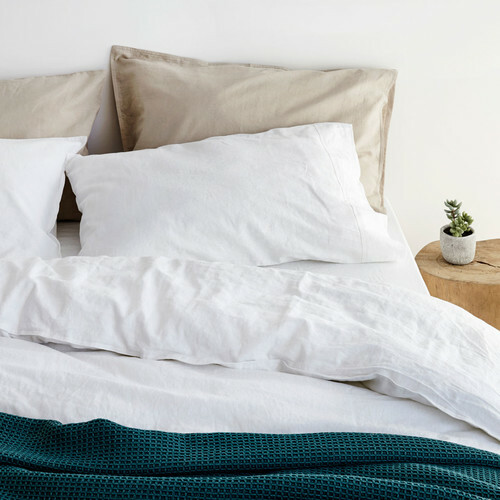 When you buy a Sogno Carrara White Linen & Cotton Quilt Cover Set online from Temple & Webster in Australia, we make it as easy as possible for you to find out when your product will be delivered to your home in Melbourne, Sydney or any major city. You can check on a delivery estimate for the Canningvale Part #: SOGL4QS008CVCV / SOGL5QS008CVCV here. If you have any questions about your purchase or any other Quilt Covers product for sale our customer service representatives are available to help.Whether you just want to buy a Sogno Carrara White Linen & Cotton Quilt Cover Set or shop for your entire home, Temple & Webster has a zillion things home. Brilliant quality, fast delivery, would shop again. Thanks T&W!